In areas like Western Australia, water is becoming an increasingly scarce resource. Not only has annual rainfall been reducing over the past 30 years, but populations have been increasing. In just 15 years, Perth’s population has increased by 25%, much of it attributed to the mining boom and ancillary businesses that support it. It’s not a problem specific to Australia. In the Northern Hemisphere industrialised countries like the United States, United Kingdom and many others across Europe are experiencing the same problems for the same reasons. And things will only get worse. The world, it would seem, is beginning to dry up. Various options are on the table, and many already implemented. Pumping water from mountainous areas where melting snow can be utilised. Using treated waste water for irrigating agricultural crops, returning treated waste water to the rivers where it can be recycled and re-used domestically. Encouraging domestic, commercial and industrial properties to reduce water use by metering incoming supplies and charging accordingly; are just a few of the alternatives being implemented in many countries. Water tanks, capable of holding thousands of litres of rainwater, have been used by farmers and stockholders for over 100 years. Without them, the majority of Australia’s crop and meat production would have been lost years ago. Now the Australian government has implemented a range of water saving measures, which are adaptable on a state by state basis, to conserve water and reduce water consumption through the taps. In heavily populated areas like Perth, greater emphasis is being placed on the use of rainwater tanks in commercial, industrial and domestic properties to help save that oh-so-precious resource – and at the same time save you money. When you start researching water tanks Perth prices are very reasonable. 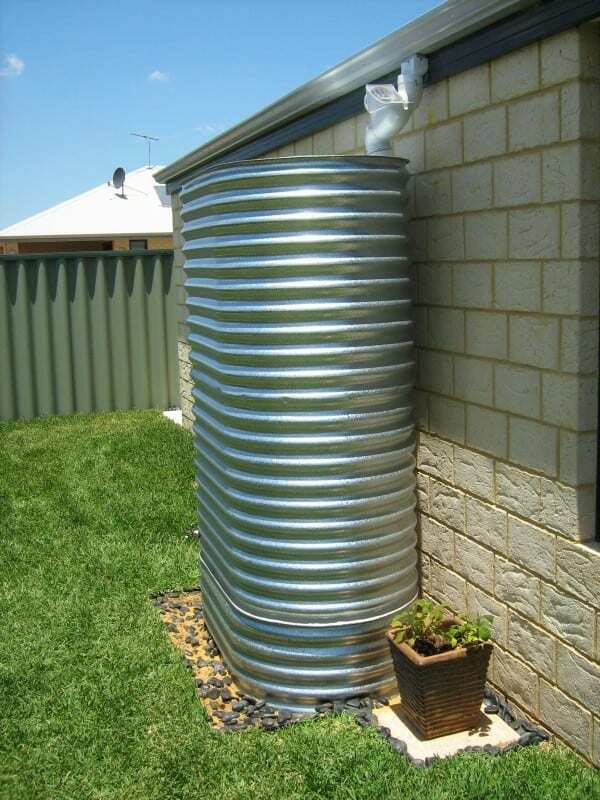 The smallest standard rectangular rainwater tank available from manufacturers like Rainfill Tanks and Curved Roofing Supplies in WA are constructed of high quality Aquaplate steel and guaranteed against material failure for 20 years, they will set you back less than $600. Compare that to an average water bill, of which the water supplied costs over $200 per annum, and potential savings become strikingly obvious. As one would expect, prices increase with size, but so does the water saving, hence reductions on your water bill. Quotes for custom built rainfall tanks and those capable of dealing with both rainfall and greywater are a phone call away.